Living Worshipers is a prayer and worship website, calling God’s people in Christ to unite as a Spirit of Worship to seek Him in our day. This is our first call to rally together in Spirit for a day of prayer. Jehovah-Nissi Rally (The Lord our Banner), is coming together under the banner of our God to cry out for our nation. We hope you will check us out and join us for this event wherever you are. The Conversation, recorded below, was given to me, a humbled follower of Christ. I am Darlene, and I currently suffer with Complicated Grief Disorder (CGD), an emotional disorder kin to Post Traumatic Stress Disorder, that presents with the same symptomology and is given the same treatment regimen. It is the result of the breakdown of normally good coping mechanisms, brought about by some stressor in life that snaps that system. As a result, I struggle often with almost agoraphobic social anxiety. It is most difficult during the holidays when my stressor has to be faced as family gatherings begin. While looking for some other recorded document, I ran across this and am encouraged again. Here is the story of how the conversation recorded below came to be. As part of God’s treatment regimen in helping me to deal with my CGD, God led me to the study of Christian Counseling with Light University. Preparing for a trip to Nashville for graduation from that first stage of study and for an American Association of Christian Counselors World Conference, my social anxiety flaring severely, I recall a scripture I received via email from Bible Gateway that kept coming to mind. Going through my deleted files, I discover many others and begin printing them and taping them to index cards that I can carry with me for meditation while on the trip. Reading through the compilation of scriptures God highlighted to my heart, I am amazed to find the conversation I now share with you. Father, I pray for all into whose hands you put this conversation. May their hearts be helped as they truly comprehend this being from You for them, as much as it was for me. I pray that all the days of their lives will be filled with the sure knowledge of Your presence and Your rich rewards promised to those who choose to believe. This morning, as I awoke, my thoughts ran quickly to the controversial issue I have been mulling, and yes, fuming over for weeks now concerning Christmas as a Christian holiday and it being “stolen from us in our day and culture”. I am hearing that there are even people gearing up to fight to get it back. And until I started my research, I was leaning toward getting aboard the boat with them. But after just barely starting my research, God began to minister to my heart and lead me to adjust my understanding and perceptions. I am now leaning toward a thought that has hit my head several times of late; that thought being that we need to celebrate Christ in peace with those who celebrate their “holidays” or set another time as a time for our celebration of Christ. Why do I say that? I could go on, but you can read the articles linked below for more information. The fact is that the celebration of Christmas, meaning “Christ’s mass”, is highly linked with celebrations of other non-Christian cultures through adoption of timing, traditions, and symbols. Do we have a right to celebrate it with freedom and respectful consideration by those who choose not to? Yes. Is this season solely ours? No. There are too many other cultures with similar celebrations, some linked with other gods, who have had this same season for eons, long before our choosing it for our purpose of honoring and remembering the Christ. 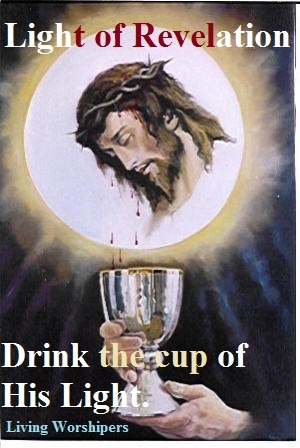 † “Whether, then, you eat or drink or whatever you do, do all to the glory of God” ~ 1 Corinthians 10:31. † Remember that “we are ambassadors for Christ, as though God were making an appeal through us; we beg you on behalf of Christ, be reconciled to God” ~ 2 Corinthians 5:20. † And, lest we forget, “Therefore if there is any encouragement in Christ, if there is any consolation of love, if there is any fellowship of the Spirit, if any affection and compassion, make my joy complete by being of the same mind, maintaining the same love, united in spirit, INTENT ON ONE PURPOSE. Do nothing from selfishness or empty conceit, but with humility of mind regard one another as more important than yourselves; do not merely look out for your own personal interests, but also for the interests of others. Have this attitude in yourselves which was also in Christ Jesus, who, although He existed in the form of God, did not regard equality with God a thing to be grasped, but emptied Himself, taking the form of a bond-servant, and being made in the likeness of men. Being found in appearance as a man, He humbled Himself by becoming obedient to the point of death, even death on a cross” ~ Philippians 2:1-8. The celebration of Christ is a heart issue. We cannot force it on others. They cannot truly take it from us. My decision today as I think on these things is this: When I say “Merry Christmas” and someone else responds with Happy Holidays, I will smile and thank them while lifting a prayer for their ultimate blessing. If someone complains about my nativity being visible to all in my front yard, I will do my best to respond to them with grace while standing my ground in celebrating my King. Hopefully as I do so, with respectful consideration for him while still standing firm for my Christ, that person will come to some understanding of my love of my God and will return the respect of my right of choice as I respect their God-given right to choose against Him. Remember, rejection of Christianity and its practices and peoples is not ultimately rejection of the person serving Christ, it is rejection of Christ Himself, and He will deal with that (Luke 10:16; Titus 1:16). Ours is to love Him and love others as He does: unconditionally and incorruptibly. Are some things worth fighting for? Yes. Are we, as Christians to do so? We are called to “fight the good fight of faith”, so I would say we are to pick our battles well, make sure our heart and attitude in the fight line up with God’s will and way, then stand firm on Him. We are called to be wise as serpents and innocent as doves in this world. To me, that means to understand the ways of evil and know what God has supplied us in the set-up of world government that can be used to fight the good fight within the legal bounds of His Law and the laws of man, but we must do so always with our role of ambassador in heart, being innocent of unrighteous motive and clear of attitudes that misrepresent Him, standing with His Law when man’s law is in contention with Him. Christmas is the focus of the Christian in celebrating this Holiday season. But other belief systems coincide with our Christmas. Let them have theirs while we keep ours with respect and peace one to another, or change the date for ours and separate from the rest. It is our choice, people of Jehovah in Jesus, the Christ. What will we do? …take it to your heart, that the LORD, He is God in heaven above and on the earth below; there is no other ~ Deuteronomy 4:39. I, along with many others I know, too often struggle with depression. I wrote an email today to just such a one encouraging them in things they can do to help themselves. As I read this simple statement of truth about God this morning, I am mindful of how the things we take to heart affect our thoughts, mental attitudes, emotional stability, and even the very delicate chemical balance of our bodies, all of which affect our mental health and sense of well-being, and our physical health. The things we take to heart will either make us better in every way, even improving our physical health; or they will make us bitter and sickly in every way: mentally, emotionally, physically, socially, relationally, and behaviorally; and yes, even economically. I am really taking this insight to heart right now, as I know my beloved friend who is struggling with depression is not alone. I am right there with her as the winter season couples with the holiday events that so often lead to depression. Relationship struggles and fear of the “what ifs” have taken my heart captive again. So as I read this with God’s highlight on the “take it to your heart,” I realize that I have to fill my heart with good thoughts of truth worth holding. Thoughts and truths that will help my heart, mind, soul and strength to be in good health and able to withstand whatever might be. The truth is that the things I let grab my heart and roll around in my thoughts to be taken to heart usually do not happen. When they do, God is always faithful to equip me to deal with whatever that might be. Truth is that the things I often think about what other people think of me is usually not true, and I judge their hearts unrighteously when I take those thoughts to heart as if true. When it gets right down to it, the thoughts I think of others color their reputation for me. I will give bad repute toward those I think are thinking bad of me, thinking them harsh, unloving and uncaring, often without cause. But I will give good repute to those I choose to take good thoughts to heart toward, giving them grace when they fall because I choose to give focus to the good in them over the bad. Truth is that it does not truly matter what others think of me, or even what I think of myself. It only matters what God thinks and knows to be true of me. When I focus on what He thinks, it leads to me being and doing things righteously, in ways and with right attitudes and motives that not only please Him, but make me feel better about me, thus causing my actions and responses to be such as gives me favor with mankind. Things we take to heart, my friend, will make us, or break us. So weigh every thought and intent of the heart on God’s scales, and think good thoughts: thoughts that are right, true, pure, lovely, excellent, of good repute, and worthy of praise, and peace will come to dwell in the heart in which such thoughts prevail. “Finally, brethren, whatever is true, whatever is honorable, whatever is right, whatever is pure, whatever is lovely, whatever is of good repute, if there is any excellence and if anything worthy of praise, dwell on these things. The things you have learned and received and heard and seen in me, practice these things, and the God of peace will be with you” ~ Philippians 4:8-9. “Now when Abram was ninety-nine years old, the Lord appeared to Abram and said to him, “I am God Almighty; Walk before Me, and be blameless” (Genesis 17:1). At the ripe age of 100, Abram is about to receive again the promise of God that he will have a son by his barren wife Sarai (90 years old). God knew that at this point in life when they were not only barren, but beyond the age of child-bearing, that Abram would do what he did later, he would laugh in disbelief; just as Sarai would in the next chapter. So He started the conversation with the proclamation of His might as God Almighty: El Shadai. In our day and age, with the challenges facing us as a people and a nation, we desperately need to remember our God is God Almighty. The problem in our day is people read scripture without the aid of God’s Spirit to teach them and think the truths shared there about God are impossible. They fail to have faith to believe because they see the wrath of God and decide God must be cruel and unworthy of following. They see the miracles reported in its pages and think such to be impossible. Therefore they choose to not believe. They do not understand that God was creating a holy people through which to birth Messiah, the greatest miracle of all that would bring down the curtain of division and make the Holy of holies available to all. In the Amplified version of Genesis 17:1, we read “…walk and live habitually before Me and be perfect (blameless, wholehearted, complete).” This is the requirement for the people who would be the lineage of Christ, and it is the requirement of those who today profess Christ as Savior and returning Messiah. God needs a people wholly set apart to Him, and then, as today they had to sometimes be dealt with harshly to get their attention and draw them away from false deities of the day that tempted them away from the purity of a relationship with Holy God. Those who struggle to understand, lacking the help of the Spirit to discern the truth, fail to discern that any God worth following must be almighty in power, able to hold His position as God. Not only is El Shadai a God who is able to hold His rightful place as God, but He is able to meet those who follow Him at their most desperate of needs. Without the ability to believe that God is able, why is He worth following? God is still working a purpose for eternity out in our day, and it requires that people have the choice to believe or not believe, for in that choice we choose “God” or “not God”. Through allowing evil in the earth for a short time—short in comparison to eternity—He has allowed a line to be drawn that gives us choice in whether to believe in, love and honor God as God or not. True love must make room for love to be returned willingly. True love would never force the one loved to love in return. Thus God’s love made a way for us to have a choice in this life. God, or not God, but some other god. Even those who believe there is no god have set themselves up as god to rule their own way. And though there is no other god except the One True God, Jehovah, other false gods exist with a power that Paul, in 1 Corinthians 10:14-22, says has the power of demons behind it. God called Abraham to believe the impossible to be possible because the God he chose to serve is ALMIGHTY GOD. Out of Abraham’s faith in choosing to believe God for the HIMpossible, God birthed through Him the lineage of the Christ, who was to come out of a people wholly set apart to God as His beloved people. And out of that Seed of Righteousness, Jesus the Christ, He provided the way for His people, Israel, and indeed the entire world, to come into eternal relationship with Himself. By faith to believe the HIMpossible of Almighty God found in Jesus Christ, the Messiah, we enter into the family of God, being made through Christ into “…a chosen race, a royal priesthood, a holy nation, a people for God’s own possession, so that we may proclaim the excellencies of Him who has called us out of darkness into His marvelous light” (1 Peter 2:9). The season of Advent is a time to remember and proclaim this gift from El Shadai through the lineage set up in Abraham. Nothing is beyond the ability of God Almighty to take care of, and He will do so in due season. Just as Abraham’s Isaac was born in God’s timing, so that all would know it was God who did it because of the advanced age of Sarah and Abraham that made conception impossible without God doing it, so Jesus coming as Messiah in ways that are beyond our ability to comprehend reveals the work of the Almighty for a purpose that is His own: the salvation of a world of people in need of One True God. Our situations today are the same, opportunity to watch the perfect timing of God Almighty at work in ways that show Himself strong on our behalf. God is able. As He said to Abraham at the time of conception, so He says to us who will hear today, “Behold, I am the LORD, the God of all flesh; is anything too difficult for Me?” (Jeremiah 32:27). All we need is to have a mustard seed of faith in God, relying on Him, trusting in Him, being confident that He will do the HIMpossible at just the right time to accomplish the greatest good for all concerned. That is His way revealed throughout the ages, working not only on our behalf for our good, but on behalf of all around us who will see and come to believe El Shaddai. Do you read the word of God, realizing and believing that it is breathed by Him through the men used to author it? Do you enjoy the privilege of allowing God to highlight passages for you that just fit your need in your day? This is one such verse for me. It has been difficult in this season of dealing with my parent’s paranoia. It has caused me to be clinically depressed, which increases one’s sense if inadequacy in negative ways that hinder one’s ability to feel they can be of use to a Holy God. About two years ago, God highlighted this passage to assure me that I can trust Him still to speak to and through me to the need of others, despite this current pain in life. And today, as it comes up in my journal for review, He gives highlight within the highlight. Another problem that comes with depression and health issues like fibromyalgia, and with having a lifestyle right now with hubbies work that is in opposition to my internal clock, is sleep issues. I am a morning person that loves rising early to spend time with my God, but all these issues work to hinder my ability to wake and have brain cells to function. It has been a source of struggle and subject for prayer since this new cycle of life began. This morning, as I read and thank God for its truth once again, He highlights promise for my need: HE wakens me. He wakens me morning by morning. He wakens my ear to hear. I don’t have to fret over when I rise. I don’t have to struggle to hear. All I have to do is rise when I awake and be faithful to listen with earnest expectation and hope in God who promises it is He who wakens me, and He gives me an ear to hear. Trust God today, beloved. Be faithful to be in His word at every opportunity. Know that He will highlight His word for you, just as he does for me and others. “Let us therefore be zealous and exert ourselves and strive diligently to enter that rest [of God, to know and experience it for ourselves], that no one may fall or perish by the same kind of unbelief and disobedience [into which those in the wilderness fell]. For the Word that God speaks is alive and full of power [making it active, operative, energizing, and effective]; it is sharper than any two-edged sword, penetrating to the dividing line of the breath of life (soul) and [the immortal] spirit, and of joints and marrow [of the deepest parts of our nature], exposing and sifting and analyzing and judging the very thoughts and purposes of the heart” (Hebrews 4:11-12, AMP). 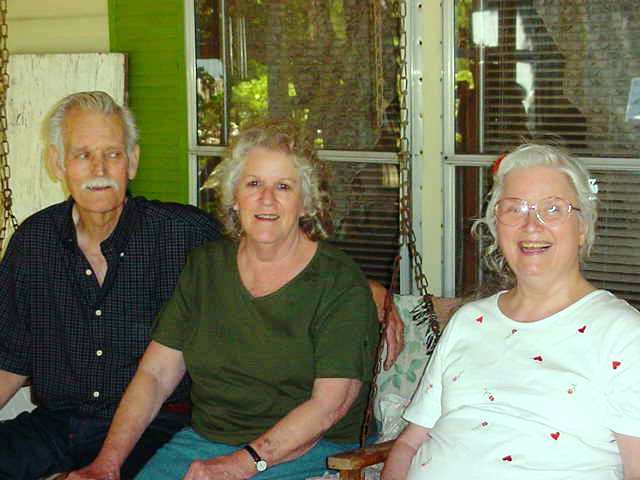 These are my favorite pictures of Aunt Maxine, Uncle JD, and Aunt Shirley because of the miracle. 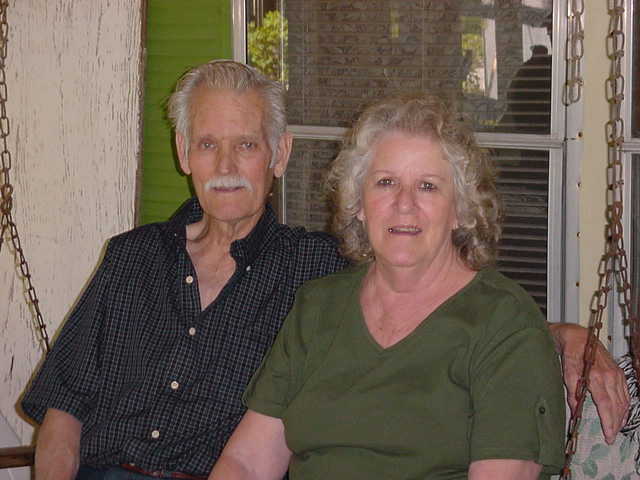 Planning a trip to the Dallas area to see family, hoping to take Aunt Maxine to see her brother while there, I call to set the plans with Uncle JD and Aunt Shirley. They are excited about the possibility, but at the same time, a little leery. You see, Aunt Maxine was Schizophrenic and, more often than not in those days, she was in her own world, which was very difficult to see. So Aunt Shirley asked me to please not bring her if she was in bad shape. Assuring them I would comply with their wishes, the conversation ends, and the prayers begin. Finally, the anticipated day arrives and I go to get Aunt Maxine. Though she is responsive to me, I can tell she is not in good shape mentally, but she is good enough to remember that we are supposed to go visiting and she wants to go. Looking to God, I say, “O Lord! What do I do? I promised to not bring her if she was bad like this.” Clearly to my mind, the Spirit of God says, “It will be okay. Go.” So we got in the car and headed to Tyler. Arriving at Uncle JD’s, they head up the drive to meet us. As they do, the Light dawns. Aunt Maxine’s face lights up and, practically jumping out of the car, she greets Aunt Shirley, then Uncle JD with open arms and bright smiles. Thanking God and continuing in hope, we head into the house. The three of us watch Aunt Maxine in total amazement throughout the entire visit. She laughed and cut up like the Aunt Maxine I remember as a child. She kept up with the conversation and took part in it. She smiled with that old twinkle in her eyes. And we three stood watching in awe and amazement. At the end of the visit, hating to leave the moment, we said our goodbyes and headed back to Grapevine. The minute we were out of their drive and on the road, my beloved Aunt disappeared back into her world, and we rode silently home. But my heart was not silent. It was filled with the glory of God. 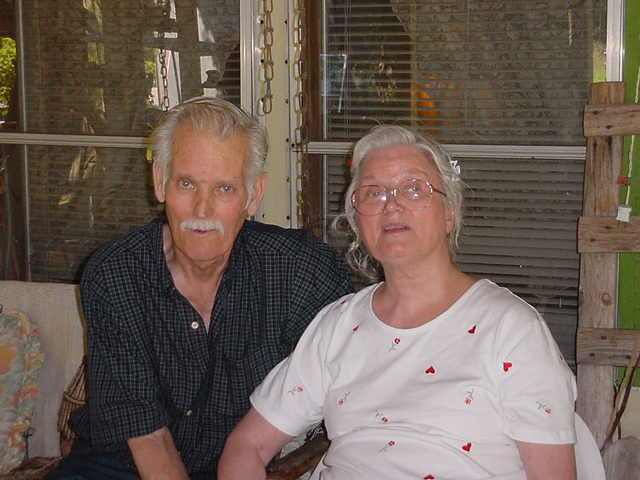 I will miss you, Aunt Maxine, but I look forward to laughing with you, Uncle JD and Aunt Shirley again when we all meet together with other loved ones in the sweet by and by. Shhhh….do you hear it? There is the sound of laughter and joy round the throne as these three beloveds and many others enjoy company in the worship of Glory. I am rejoicing with you, Aunt Maxine. No more silence, only joy, everlasting. Thank You, Father. “For the Lord spoke thus to me with His strong hand upon me, and warned and instructed me not to walk in the way of this people, saying, ‘Do not call conspiracy [or hard, or holy] all that this people will call conspiracy [or hard, or holy]; neither be in fear of what they fear, nor make others afraid and in dread. The Lord of hosts—regard Him as holy and honor His holy name by regarding Him as your only hope of safety, and let Him be your fear and let Him be your dread lest you offend Him by your fear of man and distrust of Him. And He shall be a sanctuary, a sacred and indestructible asylum to those who reverently fear and trust in Him; but He shall be a Stone of stumbling and a Rock of offense to both the houses of Israel, a trap and a snare to the inhabitants of Jerusalem” (Isaiah 8:11-14, AMP; brackets removed for easier reading). We are in precarious days as a nation and indeed, the whole world, facing many and diverse challenges. As I watched things unfold over these weeks of the election season, the Sandy storm thundering its bolt upon our land, God has spoken many things to my heart. He often speaks warning to me of things to come, and through these weeks of waiting and watching for Him, He again warns of difficult days ahead. The true election of our day was and is “God” or “not God.” Not only was that our true choice where our vote for a President was concerned, but it is our true choice with every decision and every potential path throughout every day of our lives. As for the Presidential election, the days ahead will reveal our vote. One thing God is making clear to me as I consider all He is revealing is that I am not here to cause further dread, calling things a conspiracy, giving way to paranoia. I am not to give focus to the hard things ahead, or call things ‘holy’ that this world calls ‘holy.’ Instead my cry is to the possessed of God, those truly belonging to and surrendered to Him. My cry is a call to look up; look up to the Lord, your shelter and strong stay; and look down, look down to your feet and check your stance. Where are you standing on this issue of God and His ways. “…Therefore, brethren, be all the more diligent to make certain about His calling and choosing you…” (2 Peter 1:1-10). “…but He shall be a Stone of stumbling and a Rock of offense to both the houses of Israel, a trap and a snare to the inhabitants of Jerusalem.” At the time of the writing of Isaiah 8, Israel and Judah were failing to honor and follow God. They were coming under the disciplining hand of God and Assyria was raining down on them. God allows such adversity in the lives of those who are His chosen, who refuse to heed His instruction that is given for our good, His glory, and the fulfilling of His purposes. The days ahead will call each individual to make our choice. Will we look to and stand in the shade of the Mountain of God? Or will we look to and follow the dictates of the winds of adversity coming down off the hills of false hope? “He who dwells in the secret place of the Most High shall remain stable and fixed under the shadow of the Almighty [Whose power no foe can withstand]. I will say of the Lord, He is my Refuge and my Fortress, my God; on Him I lean and rely, and in Him I [confidently] trust! For [then] He will deliver you from the snare of the fowler and from the deadly pestilence. [Then] He will cover you with His pinions, and under His wings shall you trust and find refuge; His truth and His faithfulness are a shield and a buckler” (Psalm 91:1-4, AMP). If you would like to join a prayer force as we watch to see the Lord’s opinion of the recent election, join us on Facebook at Living Worshipers (http://www.facebook.com/LivingWorshipersPage?ref=hl). “You shall teach them diligently to your sons and shall talk of them when you sit in your house and when you walk by the way and when you lie down and when you rise up” (Deuteronomy 6:7). Part of worshiping God is telling others, especially our children, of His precepts and of our experiences with Him. God is alive, but people who do not know Him are too often blinded to His existence. It is important that we remember to praise Him and tell of Him throughout our day to day lives. This passage in chapter 6 of Deuteronomy speaks of four strategic worship stances: sitting, walking, laying down, and rising up. Sitting to me pictures relationship. We often sit when we visit with someone. Giving them our focus and taking every opportunity to speak trust in God into their situations is a vitally needed form of praise and worship. Walking depicts comradery, walking together through life. We all know in this life we do not always see eye to eye. But we can learn to walk together even in our differences and to share God’s presence and how He reveals Himself to us as we walk together for His glory and to His purpose. Laying down: I see rest. We best worship and honor God when we enter His rest. Too often, in our moments of rest, this life, its struggles, things of the past and worries of the future hinder our laying down times. Such hinders our testimony of God, keeping others blinded to His reality, when they see us as stressed and uptight as they are. It is the greatest form of worship when we can go through this life that can often be difficult, facing those challenges from a stance that is rested in Him. Rising up: when life does knock us down, what greater worship can there be than to get back up again and carry on with faith in God. Worship is not a here a little, there a little, word of mouth and sing along action. It is the day in and day out living with earnest expectation and hope that is rested on the reality of our loving, life-giving God. “Zion shall be redeemed with justice, and her [returned] converts with righteousness (uprightness and right standing with God). But the crushing and destruction of rebels and sinners shall be together, and they who forsake the Lord shall be consumed. For you will be ashamed [of the folly and degradation] of the oak or terebinth trees in which you found [idolatrous] pleasure, and you will blush with shame for the [idolatrous worship which you practice in the passion-inflaming] gardens which you have chosen. For you shall be like an oak or terebinth whose leaf withers, and like a garden that has no water. And the strong shall become like tow and become tinder, and his work like a spark, and they shall both burn together, with none to quench them” (AMP). Passion: What is the passion of your life and focus right now, in this very instant? If you are like me, your desire is to say that God is; that the things that God is passionate about are the things that impassion you. But I have to ask myself as I read this thought for today if that is truth. Or is my passion an idol to be dealt with? Today’s world has many pleasures to be had in it. We can become impassioned to those pleasures with ease, but do those pursuits help our witness or hinder it? Do those things we give ourselves and our time to bring increase to the kingdom of God? Or do we watch the clock tick by hours and minutes in uselessness? There is nothing wrong with me enjoying a good game of Jewels 2 or Majong Titans. But when I watch 10s of minutes fly by, hour after hour in pursuit to the higher score and faster win day after day while hurting friends are ignored and the house needs attention, my passion for the game becomes an idol that robs of the weightier things of life more abundant and full. Consider your passions today. Are they driven by eternity, or driven by the earthly? Father, grant us to have Your heart of passion for those around us and for meeting needs. Help us to have right priorities that, yes, allows for rest and fun things, but not at the expense of our being Your hands and feet in the world. In Jesus, show us Your glory and help us to be Your light reflecting in the earth. Amen. “…Little children, let us not love [merely] in theory or in speech but in deed and in truth (in practice and in sincerity)…” (1 John 3:4-24, Amplified version quoted herein). The number one clue of our belonging to the Kingdom of God is seen in our practices stemming from His nature at work within us. It is a practice without hypocrisy. This practice of righteousness does not merely say what we believe then habitually walk off to do the opposite. It proves what we believe in our practices even behind closed doors with no one watching but God alone, because we love Him and what we believe is who we are in Him. “Everyone who commits (practices) sin is guilty of lawlessness; for [that is what] sin is, lawlessness (the breaking, violating of God’s law by transgression or neglect—being unrestrained and unregulated by His commands and His will)…” (vs. 4-10). I have a wall hanging that quotes G. K. Chesterton as saying, “The only faith that wears well is that which is woven of conviction.” Keeping the laws and commandments of God, practicing them in sincerity and truth from the heart of our being, requires conviction in the veracity, integrity and credibility of God. If we do not trust Him to lead us in righteous paths for our good and His glory, we will say one thing and do another as if to placate Him and look good to others while going our own way. Completing the sufferings of Christ means to continue in His likeness of trusting fully the veracity, integrity and credibility of God, walking with God in His ways, even unto death, with hearts that are pure toward Him. “…Boys (lads), let no one deceive and lead you astray. He who practices righteousness [who is upright, conforming to the divine will in purpose, thought, and action, living a consistently conscientious life] is righteous, even as He is righteous. [But] he who commits sin [who practices evildoing] is of the devil [takes his character from the evil one], for the devil has sinned (violated the divine law) from the beginning. The reason the Son of God was made manifest (visible) was to undo (destroy, loosen, and dissolve) the works the devil [has done]” (vs. 7-8). “By this it is made clear who take their nature from God and are His children and who take their nature from the devil and are his children: no one who does not practice righteousness [who does not conform to God’s will in purpose, thought, and action] is of God; neither is anyone who does not love his brother (his fellow believer in Christ)” (vs. 10). God is love. Him truly residing within us in the power of His Spirit will produce love in us as well, not only for those we call “brother and sister in Christ,” but for all mankind. We do not love the ways of the evil one that resides in those who do not know Him, but we do love the person with a holy love from God that desires them to enter into this union we possess. Thus we do good to all, especially to the brotherhood, and we do good to those who do us evil with hope that through acts of lovingkindness we may indeed win some (Romans 12). “For this is the message (the announcement) which you have heard from the first, that we should love one another, [And] not be like Cain who [took his nature and got his motivation] from the evil one and slew his brother. And why did he slay him? Because his deeds (activities, works) were wicked and malicious and his brother’s were righteous (virtuous)” (vs. 11-12). The world, on the other hand, will hate us because they do not have within them the love that can come only from God, living and active within. Now realize that there are several kinds of love in this life: brotherly love, sensual love, self-love—these three being dictated by the object of ones affections and the fickle emotions within us. The love God speaks of in this passage we consider is the unconditional Agapé-love that is not destroyed by sin done against it. This love is not subject to its surrounding or physical emotions, but comes from within, from who we are in Christ by the power God supplies. It presses forward to do that which is best for the one loved even when the one we love sins against us. It is a love that can only be achieved when surrendered to the Father’s love flowing through us to those around us. Though this Agapé-love may be hindered for a time by our flesh warring against the Spirit within us, this love will eventually win out as the nature of God within us takes hold and has control, proving us to be one with God and working in His nature. “Anyone who hates (abominates, detests) his brother [in Christ] is [at heart] a murderer, and you know that no murderer has eternal life abiding (persevering) within him. By this we come to know (progressively to recognize, to perceive, to understand) the [essential] love: that He laid down His [own] life for us; and we ought to lay [our] lives down for [those who are our] brothers [in Him]. But if anyone has this world’s goods (resources for sustaining life) and sees his brother and fellow believer in need, yet closes his heart of compassion against him, how can the love of God live and remain in him? Little children, let us not love [merely] in theory or in speech but in deed and in truth (in practice and in sincerity)” (vs. 15-18). “By this we shall come to know (perceive, recognize, and understand) that we are of the Truth, and can reassure (quiet, conciliate, and pacify) our hearts in His presence, Whenever our hearts in [tormenting] self-accusation make us feel guilty and condemn us. [For we are in God’s hands.] For He is above and greater than our consciences (our hearts), and He knows (perceives and understands) everything [nothing is hidden from Him]” (vs. 19-20). “And, beloved, if our consciences (our hearts) do not accuse us [if they do not make us feel guilty and condemn us], we have confidence (complete assurance and boldness) before God, And we receive from Him whatever we ask, because we [watchfully] obey His orders [observe His suggestions and injunctions, follow His plan for us] and [habitually] practice what is pleasing to Him” (vs. 21-22). Confidence in our eternal destination though Christ is ours to possess. And the possessing of it through the practice of His nature proves our relationship with Him, completing the work of Christ, who made a distinction between the hypocrisy of those snared to evil, refusing the work of God within. And He proved the nature of God within Himself by His habitual practice of righteousness and God-pleasing from a pure heart. We join in fulfilling His sufferings by proving the nature of God that frees from sin and His work in the world of men that is available through the sacrifice of Christ, as we live, breathe and move in the power of His Holy Spirit residing within us, thus destroying the work of the evil one with Him. “…But I say, walk by the Spirit, and you will not carry out the desire of the flesh…” (Galatians 5). Giving the Spirit full sway in our lives, trusting God to make His presence and leading surely known to us, surrendering to His lead so as to not quench the work of the Spirit within, this is the nature of Christ in us. He always lived to please the Father. We carry on to completion His suffering against the flesh, the world and the demonic as, in the power of the Spirit, we stand against evil by walking “in the Light as He Himself is in the Light.” Thus “we have fellowship with one another, and the blood of Jesus His Son cleanses us from all sin” and we prove ourselves to be in Him and He in us (1 John 1:7, NASB). “See how great a love the Father has bestowed on us, that we would be called children of God; and such we are. For this reason the world does not know us, because it did not know Him. Beloved, now we are children of God, and it has not appeared as yet what we will be. We know that when He appears, we will be like Him, because we will see Him just as He is. And everyone who has this hope fixed on Him purifies himself, just as He is pure.” (1 John 3:1-3). Children of God: Princes and Princesses of the Kingdom. We are part of the royal court. God rejoices over each one of us, and the more we come to look like His Firstborn Son, the more joy we bring to Him. The only real goal we need to have for life more abundant and full is to grow strong in our likeness to Christ, purifying ourselves as God is pure; wholly belonging to the Father, being passionate about Him and all He that is passionate over. If we do this one thing, our weight will line out as we surrender our health practices to Him. We will overcome health issues, if not finding our healing this side of glory, then finding our strength in the wait for the healing. As we learn to deal with the situations and circumstances of life as He would, we will have peace in knowing that we followed Him and we can trust Him to deal with the situation in due season. Like Jesus, we are to strive to live lives as children of His kingdom in our here and now experience. Jesus spent a lot of time teaching about the Kingdom and what it looks like. That is a clue to us that we should know how the Kingdom of God functions and looks so we can be an expression of His Kingdom as His ambassadors to the world, completing His work of making the Kingdom of God known in the earth. In doing so, we also must realize that though we are of His Kingdom already, secure in our citizenship, we are not in the Kingdom yet. Thus the reason Jesus prayed that though we are in the world, we would not be of the world (John 17:13-19). Our lives are to continue His work of expressing the Kingdom lifestyle into our surroundings. † Love – God is love and those who are truly His will love as He loves for His love abides in them and will flow through them, even to the unlovable (1 John 2-5; Matthew 5:43-48). † One – Those who truly belong to God are one with the Son, who makes us one with the Father and with one another. There is unity in the Kingdom and we are to work together toward unity in the earth (John 17; Matthew 12:25-28). † Righteousness, peace and joy in the Holy Ghost – By the power of the Spirit at work in us, we strive to be righteous as He is righteous; we enter into His peace provided for us even in the difficult seasons of life in a fallen world; and we have joy in Him because He empowers us to know our God and trust His hand (John 12-16; Romans 14:17). Righteousness – No unrighteousness may enter the gates of His Kingdom (Matthew 5:20; John 3:5; Revelation 21:24-27; Isaiah 51:22-52:1). † Kingdom Revelation – The Kingdom is no longer mysterious to the true believer, for it is given for us to know, understand and proclaim His Kingdom on earth; it is ever growing within us; it is a treasure worth discovering and possessing for oneself; it is a resource to us, equipping us to separate the good worth keeping from that which is to be cast away (Matthew 13). We could go on, but suffice to say that ours is to possess and release the Kingdom of God on the earth in ways that encourage all who will to enter in with us. We are in the world, though not of the world: we are of the Kingdom while yet we await our entrance for all eternity. It is not us they truly persecute; but it is our ways that are not their own. And when they come against us because our ways are not like theirs, it is not truly us they come against, but Christ in us. They do not know, recognize as legitimate or acknowledge the righteousness of our ways because they do not know, recognize or acknowledge Him. Those who stand in opposition to God and His ways, naturally find themselves standing in opposition to all who represent Him and His ways. Kingdom life is upside down to that of the ways of the world. We love those who hate us, choosing to do good toward them where we can. We find peace in the midst of turmoil; joy in the Lord within the pages of life’s sorrows; and when we are weak, that is when we are truly strong. We do not walk the paths of life as the world does, but while on paths with them we walk the straight and narrow way of the Father. And we seldom fret as the world does, coming quickly to remember and realize our limitless supply is made sure through His grace toward us who believe. This is our call, to finish the work of Christ in our day, making His Kingdom known to all who will hear. “Jesus was going throughout all Galilee, teaching in their synagogues and proclaiming the gospel of the kingdom, and healing every kind of disease and every kind of sickness among the people” (Matthew 4:23). “And He sent them out to proclaim the kingdom of God and to perform healing” (Luke 9:2). “This is the message we have heard from Him and announce to you, that God is Light, and in Him there is no darkness at all. If we say that we have fellowship with Him and yet walk in the darkness, we lie and do not practice the truth; but if we walk in the Light as He Himself is in the Light, we have fellowship with one another, and the blood of Jesus His Son cleanses us from all sin” (1 John 1:5-7). Yesterday we looked at the fact that the first thing we are called to do in completing what is lacking in the affliction of Christ is continuing His work of bearing witness concerning the truth of God, who He is and the way He is that is recognizable in and through us. He is Light, righteousness, goodness, truth, love, etc. There is no falsehood or darkness in Him. And as we grow in understanding of who He is and in our work of image bearing for His name’s sake, bearing witness of His Presence and work in our here and now lives, we enter into the second of our roll in filling up what is lacking of Christ’s afflictions: unity of fellowship. The first insight I glean here is that our roll in completing what is lacking continues Christ’s work of building the church, the body of Christ. As we share how we experience God in our daily lives with those who do not believe, they have opportunity to join in fellowship with us by receiving our testimony and choosing the grace we walk in for themselves. That one is simple and clear. But there is a second aspect to this thought that I want to focus on. I will try to stay off my soapbox with this one. Our greatest call in adding to the fellowship of Christ’s afflictions is in the area of building unity within the body of Christ that gives proof of the distinguishing mark of our kinship. I’ll tell you, people, we are not there yet. We are divided, not by religious differences, but by pride and arrogance stemming from those differences. I hate when I hear someone standing behind the pulpit speaking divisive words against another denomination. Next to that, I hate when I hear God’s people setting around in public places, putting down other Christians. And most of all, I hate when I hear such slipping out of my own mouth. That is not fulfilling this call of Christ in completing this work of unity. So what does scripture teach us with regard to faith issues that we too often state in divisive arrogance? “Now accept the one who is weak in faith, but not for the purpose of passing judgment on his opinions. One person has faith that he may eat all things, but he who is weak eats vegetables only. The one who eats is not to regard with contempt the one who does not eat, and the one who does not eat is not to judge the one who eats, for God has accepted him. Who are you to judge the servant of another? To his own master he stands or falls; and he will stand, for the Lord is able to make him stand” (Romans 14:1-4). We grow strong of faith at differing paces. Some have faith as Paul did to shake off snakes and eat without fear. Others are not at that place in their walk. Some practice their freedom within the confines of their religious practices. Others seek the freedom of following the Spirit’s lead in ways that seem to have no bounds of religious tradition. But what I have observed in both is deep faith in those who remain bound by religion, and traditions of a different kind forming boundaries in the practices of those who appear bolder in their faith. Those who are not as bold are not to judge the heart of those who are. And those who are bold are not to condemn those who appear of weaker faith. To do so in any setting is to aid the enemy of God in dividing the house of God. Instead we are to accept one another and love each other as brothers and sisters in Christ. And as we do, we will be able to share with one another out of love, bearing testimony of our individual experience of our living God in ways that help each to grow stronger and bring the body of Christ to the unity He desires. This is our calling and equipping in filling up the lack. “But if some of the branches were broken off, and you, being a wild olive, were grafted in among them and became partaker with them of the rich root of the olive tree, do not be arrogant toward the branches; but if you are arrogant, remember that it is not you who supports the root, but the root supports you. You will say then, ‘Branches were broken off so that I might be grafted in.’ Quite right, they were broken off for their unbelief, but you stand by your faith. Do not be conceited, but fear; for if God did not spare the natural branches, He will not spare you, either. Behold then the kindness and severity of God; to those who fell, severity, but to you, God’s kindness, if you continue in His kindness; otherwise you also will be cut off. (Romans 11:17-22). And the second point in fulfilling this call to fellowship is “[So] if we say we are partakers together and enjoy fellowship with Him when we live and move and are walking about in darkness, we are [both] speaking falsely and do not live and practice the Truth [which the Gospel presents]” (vs. 6, AMP). Sin destroys our unity with God, bringing separation from fellowship with Him and destroying our ability to find unity with the brotherhood of Christ. We cannot walk in darkness and have fellowship in His Light. “But if we [really] are living and walking in the Light, as He [Himself] is in the Light, we have [true, unbroken] fellowship with one another, and the blood of Jesus Christ His Son cleanses (removes) us from all sin and guilt [keeps us cleansed from sin in all its forms and manifestations]” (vs. 7, AMP). When we walk in disunity, dividing ourselves up because of faith differences, which is clear sign that we walk in sin against God and one another, in our sin we do harm to the kingdom of God and our witness in the earth. Freedom in Christ requires us to trust in God who is able to make each of us stand firm as His beloved servant and fellow believer. And trusting that fact for each other, we walk in unity of our faith in Christ, trusting His work in growing all to the glory of His name. Instead of judging one another and condemning each other, which is sin that destroys fellowship with God and each other, we must love one another, accepting each other in the degree of faith that we have. We cannot encourage one another and help each other in spiritual growth and maturity while condemning each other. Unity of fellowship requires that instead of looking at one another and judging our differences in belief systems that stem from our faith in Him, that we look to see the image of Christ that is present. If we see Christ, the image of God born forth in the life of others, bearing fruit of His character and likeness, we are brothers and sisters in Christ and are called by Him to unity not hindered by differences in faith practices. In this way we complete the work began by Christ in bridging the gap between us and God, and between one to another. Great rejoicing comes to those who can stand as one in Christ, despite differing beliefs. That rejoicing is increased as we learn not only to accept one another where we are in our faith walk, but as we work to encourage one another and grow stronger together in Him. “What was from the beginning, what we have heard, what we have seen with our eyes, what we have looked at and touched with our hands, concerning the Word of Life—and the life was manifested, and we have seen and testify and proclaim to you the eternal life, which was with the Father and was manifested to us—what we have seen and heard we proclaim to you also, so that you too may have fellowship with us; and indeed our fellowship is with the Father, and with His Son Jesus Christ. These things we write, so that our joy may be made complete” (vs. 1-4). Years ago, while on a mission trip to a foreign land, a person looked me deep in the eyes and with perfect English and challenge on their face, ready for a fight, they asked, “How do you KNOW there is a GOD?” (harsh emphasis with all caps). Stunned for only a second, I replied with earnest fervor and a smile that welled up from the Spirit, “Because I have EXPERIENCED HIM!” That person prayed to receive my Lord as their own that day after I bore testimony of His presence in my life and His desire to be in their presence as well. People do not want to hear of some god we have only read about. They can read His word as well, but for those without the Spirit to aid them, it is dry and outdated; the God they only read of seems only to be wrathful and condemning; or to many He is a dead god or one that never really existed. They want to know with proof that there is a GOD: One who cares; One who lives; One who can reach them where they hurt. That is our call in this life, to finish what Jesus started in making the Father known. How do we do that? This passage tells us. Let us break it down and thrash it out. Yes, we need to know and be able to tell others “what was from the beginning.” We need to KNOW His word and understand the truths portrayed there so as to share with others its teachings, but people want and need more than that. They need to know how we have heard Him for ourselves; that we have seen Him with our eyes, though spiritual eyes they may be. They need to know of the vital relationship that can be had by us as if we are looking into His face, able to touch His hands and be touched by Him. If we are not personally growing in this vital relationship with our living God, how can we truly share Him? And why should those we share with follow if we can give no assurance that He is alive? God does not leave us to our own means in accomplishing this task of making Him and our Savior known in the earth. Through the power of His Spirit, present and at work in us, we have it within us to have this vital and real relationship with Him so that we can KNOW that HE IS, that He lives, and that He cares for us. This is what people of our day need to hear; more than just words that seem to them dry and dead, but how God manifests Himself to us today, in our here and now reality. They need to hear how His word has proven active for us today and sharper than a double-edged sword. Too often when God instructs us through His word, giving us hope in our situations, we share the hope without sharing the word that led us there. When we do that, we fail to allow those who long to see and believe that opportunity to realize how alive His word is in our day and to recognize His hand in His answer that comes to prove the word of hope we have. Jesus gives us His Spirit, tasked with the call and empowered to manifest the whole of our God to us. In the power of the Spirit, we know our God intimately and personally as we trust Him to make the presence of the God-head with and in us known. There is no room for fear of what man may think of us when we truly desire the make His reality known in the earth. If we truly have His saving grace in us, we do not have to go far or try hard to find Him. All we have to do is believe. Believe that He speaks to us and causes us to hear His voice and know our God (John 10). Believe that He abides in and is with us (John 14:17). Trust His presence to be manifested to and through us (Acts 2:25-28). Rejoice in His discipline that comes to us as from a perfect Father who loves us and desires our greatest potential and ultimate good (Hebrews 12; 2 Timothy 3:16). In Colossians 1, reading beyond the verse that called me to study these things out, we learn much of Paul’s joy in being a reporter for Christ, completing what is lacking of His work in our day. “Now I rejoice in my sufferings for your sake, and in my flesh I do my share on behalf of His body, which is the church, in filling up what is lacking in Christ’s afflictions. Of this church I was made a minister according to the stewardship from God bestowed on me for your benefit, so that I might fully carry out the preaching of the word of God, that is, the mystery which has been hidden from the past ages and generations, but has now been manifested to His saints, to whom God willed to make known what is the riches of the glory of this mystery among the Gentiles, which is Christ in you, the hope of glory. We proclaim Him, admonishing every man and teaching every man with all wisdom, so that we may present every man complete in Christ. For this purpose also I labor, striving according to His power, which mightily works within me” (Colossians 1:24-29). Along with reporting His activity to a people who have yet to know Him, we encourage one another as we share His manifest presence in the church. As I read Paul’s words in Colossians, I realize that it is vital that we know our gifting from God through His Spirit, meant for use in the church so that through that gifting, we may accomplish this work He calls us to. I.e. : A “helper” gift needs to realize that they are a helper and that sharing their testimony does not have to look, or sound, like a teacher or a profit. Out of their helper spirit they speak and portray Him to the church and to the world. Thus they can be themselves, sharing their God-experience out of who they are in the way they best function, rested in Him, trusting God to empower them and accomplish His purpose through them. Paul, working out of His gifting and call, speaks. That is his motivation and power. For a person gifted with helps, they must realize that it “helps” others to hear their experience and speak out of the Spiritual gifting that is in them, though theirs may come across as a more simplistic, functional testimony. When they do, they too will experience the power of God’s flow. If they try to speak as one gifted with prophesy when they are not a prophet, they will be insecure, coming across as a façade. But if they work out of the power of one gifted with helps, they will be in their element and power will flow for them to speak with ease, just as Paul does in His writings. What joy it is when we share truth of God’s reality with others out of our giftedness, and they see Him for the first time. My husband is a welding instructor, head of the department in our local college. It was exciting when he hired a new instructor as we watched his excitement over seeing students as the light of understanding came on. This is our task, to make Him known, and the rejoicing of seeing someone get it is like no other. Jesus prayed, “O righteous Father, although the world has not known You, yet I have known You; and these have known that You sent Me; and I have made Your name known to them, and will make it known, so that the love with which You loved Me may be in them, and I in them” (John 17:25-26). Jesus wept over Jerusalem as He looked out over the people who just did not get it. He longed for their comprehension and understanding of the truth of God and His ways. Jesus intended that we grow in knowledge of this God of love we profess. And He also intended that we carry on this work of being His reporters in the earth, telling all who will listen of the God-sightings we experience firsthand as He works in our lives in personal ways that make us able to say, “I know there is a God because I have experienced Him!” And Jesus rejoices with and through us when the light suddenly dawns bright through eyes of comprehension. “Father…I have manifested Your name to the men whom You gave Me out of the world; they were Yours and You gave them to Me, and they have kept Your word. Now they have come to know that everything You have given Me is from You; for the words which You gave Me I have given to them; and they received them and truly understood that I came forth from You, and they believed that You sent Me. …But now I come to You; and these things I speak in the world so that they may have My joy made full in themselves. I have given them Your word; and the world has hated them, because they are not of the world, even as I am not of the world. I do not ask You to take them out of the world, but to keep them from the evil one. They are not of the world, even as I am not of the world. Sanctify them in the truth; Your word is truth. As You sent Me into the world, I also have sent them into the world. For their sakes I sanctify Myself, that they themselves also may be sanctified in truth…” (John 17). “Lacking in Christ’s afflictions”? The day that statement from Paul caught my attention, I began a quest to understand what it means and how it is that we fill up that which remains to be done. I mean, after all, Jesus on the cross shouted, “It is finished!” In His prayer in John 17, He said to the Father, “I glorified You on the earth, having accomplished the work which You have given Me to do” (vs. 4). What is there that remains lacking? Considering these words from Paul, we can surmise that fellowship with His sufferings is part of the process that makes us one together with Him. It is part of the recipe that resurrects in us the Life of Image Bearers that God intended we have. In this study, which looks like it will take a couple of weeks to cover unless God has more to say than I do, we will see what we can discover about the afflictions of Christ, what they are, and how we have fellowship with His sufferings as we walk with understanding in this journey to filling up what is lacking. Our text for this study will be the book of 1 John, in which I see many thoughts that give us a picture of our responsibilities that accomplish this call of Paul given to us through his example. Like with so much of the teachings found in the word of God, this study will be a good start to our journey of discovering God’s will for us as people called to this fellowship. I hope you will join me these next two weeks as we look at this subject. The words “afflictions” and “sufferings” I know do not make this an appealing subject, but I believe you will be pleasantly surprised at the things God has shown me as we consider this vital aspect of our walk with Him. Looking forward to getting started, I anticipate seeing you back here tomorrow as we begin to look at 1 John and find that this work of suffering with Christ truly is cause for rejoicing as we see the fruit produced in it. I thought I was finished with this when I put the last post up; then the refrigerator door jammed open. Prayerfully considering my options for lunch, I settle on a Spinach Scramble. The Spinach prepped and the skillet heating, I reach into the fridge for the remaining ingredients needed: eggs, cheese, and butter. Setting all down on the cabinet, turning to plop a little butter in the skillet to melt in readiness for the Spinach to go in next, I realize the fridge door is still wide open. It hung on the drawer the cheese was in; left open wide, it jammed the fridge. Laughing at myself as I shut it, I thought, “Well, there ought to be a devotional thought in that.” Little did I know that God was adding a continuation to this thought on Love So Pure, but as I consider the thoughts that door jamb brought to me, here I am again with part 4. Thinking on the open fridge, I realized that our lives are food storage pantries and refrigerators to our God. He feeds us through His Word the good things needed to sustain us personally, providing fuel for a life of abundance. But He also supplies for us to be used of Him to feed others out of the storehouses He entrusts to our care as testimony of His work in our lives and our day. One day along our journey we see God fling open a door of opportunity for us to share sustenance, breaking the Bread of Life with someone in need. As we consider the door before us, held open by the very Spirit of God, suddenly we realize our refrigerator door is ajar, jammed open by some hidden drawer of our life in which we hold to food that hinders and hurts us: we’ll call these the junk-food drawers. Fear: “Oh no, Lord. If I go there, Pharaoh will kill me.” Or ours may sound more like, “Oh, God, I couldn’t possibly do that! I am too shy,” just another way of saying, “I am slave to internal fear of what others may think of me or the unexpected thing that might happen to harm me.” In other words, we do not trust God in affective ways that make us one with Him and His supply. Inadequacy: “Not me, Lord, for I am slow of speech.” “Lord, I am not talented enough to do that.” “Lord, I am too immature. Sally knows more than I do. Send her,” not realizing that Sally grew to where she is by jumping in feet first to see what the Lord would do, jumping in faith from the exact same spot we find ourselves in now. Insecurity: “I am not good enough, O God. How can I do something like that?” We fail to realize that God can scarcely use those who feel good enough in themselves. He is looking for willing vessels that will let Him use them beyond their personal ability. Those who think they have it all together usually want to do it themselves, having a junk food drawer full of self: self-sufficiency, self-righteousness, self-reliance, self-preoccupation in abundance. When we know we can’t do “it” without God, we are the perfect one for the job. Self-Condemnation: “Lord, they know me. Who am I to instruct them? And why would they listen to such a sinner as I.” Who better to instruct others from your position of understanding where they are? It helps me to understand that a “testimony” is “evidence in support of a fact or assertion; proof.” What better proof than that of a life changed forever by His supply? And what better one to tell of it than one who knows and is grateful for the work of God in delivering them from sin’s grip. God fully supplies us out of His love for our good and His glory, giving us a testimony to have ready to share in due season: we are His living proof, living stones of testimonial about His current work in our age. He gifts us to have a comfort to give in comforting others. In this way, we share His love and help others to freedom from captivity. Beloved, this I give to you from my pantry of supply and my fridge where the clean foods reside. I have to feast on this morsel of Grace sufficient often: “Such confidence we have through Christ toward God. Not that we are adequate in ourselves to consider anything as coming from ourselves, but our adequacy is from God, who also made us adequate as servants of a new covenant, not of the letter but of the Spirit; for the letter kills, but the Spirit gives life” (2 Corinthians 3:4-6). Be filled up with Him, beloved, and trust His supply for you. There are lost people, dead in their sins, all around us. Our junk-food drawers work hindrance to His ability to pour His love fully to and through us. We must be willing vessels, cleansed, filled to over flowing and rested in His hands for His use in pouring out His glorious presence, power and love through us to those we love, like or run across for a moment in time. When a drawer hangs open to provide opportunity for the enemy to discourage or dissuade you, yes, look to see what is in there, but also look to see what God has placed in storage within you for use in overcoming the temptation to the junk food being offered. Then seek the Lord to help you clear out that drawer and remove that foothold of satanic forces from your life, making the space available for His supply. “For consider your calling, brethren, that there were not many wise according to the flesh, not many mighty, not many noble; but God has chosen the foolish things of the world to shame the wise, and God has chosen the weak things of the world to shame the things which are strong, and the base things of the world and the despised God has chosen, the things that are not, so that He may nullify the things that are, so that no man may boast before God. But by His doing you are in Christ Jesus, who became to us wisdom from God, and righteousness and sanctification, and redemption, so that, just as it is written, ‘Let him who boasts, boast in the Lord’” (1 Corinthians 1:26-31). “…Faithful is He who calls you, and He also will bring it to pass…” (Recommended reading: 1 Thessalonians 1-5). This has been an awesome journey for me. I cannot tell you what God has taught me and done in my life as we have walked with one another through this time. Seeing all these truths flow together has been like putting the puzzle pieces in order and finally seeing the full picture of what God is showing me personally: a portrait worth affixing to the backing I call “my life”, hanging it up for all to see. My hope is in God that the communication of the things in my heart flowed to the pages of this text well enough to help your journey as it has mine. Today we conclude our study of “Dispelling the Darkness” as we continue our look at 1 Peter 2:4-10: having covered 4-8 yesterday, we continue through verses 9 and 10 adding to our understanding of who we are in Christ. “But you are A CHOSEN RACE, A ROYAL PRIESTHOOD, A HOLY NATION, A PEOPLE FOR GOD’S OWN POSSESSION, so that you may proclaim the excellencies of Him who has called you out of darkness into His marvelous light; for you once were not a people, but now you are the people of God; you had not received mercy, but now you have received mercy” (vs. 9-10). “‘Enter through the narrow gate; for the gate is wide and the way is broad that leads to destruction, and there are many who enter through it. For the gate is small and the way is narrow that leads to life, and there are few who find it.’ …So Jesus said to them again, ‘Truly, truly, I say to you, I am the door of the sheep. All who came before Me are thieves and robbers, but the sheep did not hear them. I am the door; if anyone enters through Me, he will be saved, and will go in and out and find pasture. The thief comes only to steal and kill and destroy; I came that they may have life, and have it abundantly” (Matthew 7:13-14; John 10:7-10). Those He calls He also chooses, and as we choose Him, we enter through the gate to walk the narrow way found in life through Christ. God turns none away who come with repentant heart, sincerely desiring the new life provide through His Son. In Christ we are birthed into the lineage of Levi, made one with Christ in a holy priesthood. He is now High Priest forever, interceding on our behalf before the Father. The curtain is torn and cast away because He stands perpetually in the Holy of Holies as Advocate on our behalf; thus slinging wide the doors so we may enter in through Him, the Narrow Way, to address the Father in the name of Jesus: we are Christ’s own beloved representatives. We are enabled through Christ to be the beloved children God desired we be from the start, having communion and walking with Him in the garden of our lives. Thus we are Royal Priests with all the responsibility that blessed position holds. † We call all to the time of response to the Holy Sacrifice for sin, announcing Messiah as the Holy Lamb provided by God, calling all to repentance and to restoration with God through Jesus. † We encourage others to turn from sin to God, bringing to the altar in their body the sacrifice of denying self to follow Christ, so He may reign in all who respond through Life, making us holy, consecrated to the Father. † We grow strong in God’s truths, His law and His ways, proclaiming them to all in need of greater understanding of their application in our day. We not only proclaim these truths, but we walk them out in our daily lives, not living as hypocrites that say one thing while doing another, but realizing that we represent Him and His interests in the world as ambassadors of Christ. Thus we walk as He walked, honoring God as Lord, following Him as Master; and we live as He lived, denying self to meet others at their point of need, with hope that they might enter into this blessed union with us. † We rejoice over God in all His fullness, leading others to join us in celebration as we share His presence in our lives. Encouraging one another in the Beloved, we share God’s comfort as He has comforted us. God takes as His own beloved possession those who willingly give themselves to Him, bit by bit possessing our lives and bodies as His land, making us one with Him. And as we willingly surrender to His Lordship in each area of life, we unite with Him in fulfilling His purposes. In so doing, we become His willing bondservant’s with Christ, AND HE BECOMES OUR PASSION. His desires and purposes become our own and all that we do in life is focused on eternity, serving Him and being His light where we are with hope of many joining us in Him. United with Him and one another, we become the fulfillment of the answer to the Lord Jesus’ prayer that we may be one with Him, just as He and the Father are one. Here we realize that we are the Bride of Christ. And we become wed to Him who is one with the Father, making us to be united with them in the Spirit. There are two pictures in scripture that explain this place to us, the first being this relationship of being Bride of Christ. Wed together, us the Holy Bride, Him the Holy Groom, what do we see? † TOGETHER AS ONE: “This is now bone of my bones, and flesh of my flesh” (Genesis 2:23a). † HUSBAND (CHRIST): “So husbands ought also to love their own wives as their own bodies. He who loves his own wife loves himself; for no one ever hated his own flesh, but nourishes and cherishes it, just as Christ also does the church. …You husbands in the same way, live with your wives in an understanding way, as with someone weaker, since she is a woman; and show her honor as a fellow heir of the grace of life, so that your prayers will not be hindered” (Ephesians 5:28-29; 1 Peter 3:7. “In the same way”: see 1 Peter 3:1-6). † HOLY BRIDE, CHRIST’S CHURCH: “In like manner, you married women, be submissive to your own husbands [SUBORDINATE yourselves as being secondary to and DEPENDENT on them, and ADAPT yourselves to them], so that even if any do not obey the Word [of God], they may be won over not by discussion but by the [godly] lives” of the Bride of Christ (1 Peter 3:1, AMP. “In like manner”: see 1 Peter 2:13-25). One with God in all His fullness, Father, Son, Holy Ghost, we are made complete as one flesh through Christ, and we become our second picture of oneness with Him: the Body of Christ in the earth. As such we are destined to function in unison with His every move, totally dependent on Him. Christ is the mind, the head: dictating function as the Father instructs, equipping us to do as He did in only doing what we see the Father do; serving His interests. Thus we have the mind of Christ (1 Corinthians 2:16). God is the heart: first supplying the blood, in which is the life, through the movement of His Spirit that feeds and empowers us to live in Him; granting us life more abundant and full. Next He unites our spirit with His to dictate our thoughts, will, and emotions, leading us to one desire with Him. All the cracks filled in with the mortar of grace, we begin to hold secure the Living Water of Jesus as He fills us up to spill us out into the earth, thus to effect the heart of mankind bringing them closer to the kingdom of God. Being vessels in the weakness of flesh, we may still spring a leak on occasion, but grace continually brings us back to restoration, and God’s understanding sustains us as He patiently works to bring us to completion. This is us: the beloved of God in the Beloved of God. One together in Him, made whole and made holy: sanctified and set apart for His glory, shining His Light that dispels the darkness in the heart of mankind. Selah (pause and calmly think of that, letting it soak in to take hold and find its place within you). “Now I come to You; and these things I speak in the world so that they may have My joy made full in themselves. I have given them Your word; and the world has hated them, because they are not of the world, even as I am not of the world. I do not ask You to take them out of the world, but to keep them from the evil one. They are not of the world, even as I am not of the world. Sanctify them in the truth; Your word is truth. As You sent Me into the world, I also have sent them into the world. For their sakes I sanctify Myself, that they themselves also may be sanctified in truth. “The glory which You have given Me I have given to them, that they may be one, just as We are one; I in them and You in Me, that they may be perfected in unity, so that the world may know that You sent Me, and loved them, even as You have loved Me” (John 17:13-23). And all the Children of God said…AMEN! If you have never taken the first steps of faith through Christ, I point you to the Good News: Click on -> Here’s Hope, for that is where this journey begins. If you are in Christ with me and want more, I will be back next week after the Grand Kids leave to begin a series titled “Completing the Suffering of Christ” (Colossians 1:24). We will be looking at 1 John to discover more about our walk with Him. Today we go deep as we begin to close out and conclude these truths we must realize if we are to be His lights, dispelling the darkness. I pray, not me Lord, but You. Only as He flows His Words of understanding through me with clarity can I share what I see in my heart. In closing our study, we turn to 1 Peter 2:4-10; today covering through verse eight. I want to encourage you who walk in this present age with me, surrounded by darkness and often discouraged by it and brought to depression. We must remember who we are in the Lord if we are to overcome and persevere. We must be His body together if we are to see the darkness dispelled in our land and His hand moving to bless us anew. “And coming to Him as to a Living Stone which has been rejected by men, but is choice and precious in the sight of God, you also, as living stones, are being built up as a spiritual house for a holy priesthood, to offer up spiritual sacrifices acceptable to God through Jesus Christ. For this is contained in Scripture: ‘Behold, I lay in Zion a choice stone, a precious corner stone, and he who believes in Him will not be disappointed.’ …” (vs. 4-6). “I tell you, if these become silent, the stones will cry out!” (Luke 19:28-44). We are the living stones of God who cry out, proclaiming and announcing that the Messiah has come. He is King of kings and Lord of lords, ruling the Kingdom of God now in our hearts, soon to return to rule in the earth. “Do not suppose that you can say to yourselves, ‘We have Abraham for our father’; for I say to you that from these stones God is able to raise up children to Abraham” (Matthew 3:9). We are living stones, birthed through Christ into the household of Abraham: his children by a birthing through Christ that adopts us to God. No longer gentiles in sin, we are brought into the covenant of Israel, circumcised of heart, consecrated to God. “But this is the covenant which I will make with the house of Israel after those days,” declares the LORD, “ I will put My law within them and on their heart I will write it; and I will be their God, and they shall be My people” (Jeremiah 31:33). “Are we beginning to commend ourselves again? Or do we need, as some, letters of commendation to you or from you? You are our letter, written in our hearts, known and read by all men; being manifested that you are a letter of Christ, cared for by us, written not with ink but with the Spirit of the living God, not on tablets of stone but on tablets of human hearts” (2 Corinthians 3:1-3). The first tablet of the Law was written on stone. The new tablet of the Law is written in the heart of true believers in Christ who seek His face and receive His word implanted. “But we all, with unveiled face, beholding as in a mirror the glory of the Lord, are being transformed into the same image from glory to glory, just as from the Lord, the Spirit” (2 Corinthians 3:18). “For those whom He foreknew, He also predestined to become conformed to the image of His Son, so that He would be the firstborn among many brethren; and these whom He predestined, He also called; and these whom He called, He also justified; and these whom He justified, He also glorified” (Romans 8:29-30). In the Master Carver’s hands, we are being remade into His image, from one degree of His glory to the next, restored to His intended plan and purpose. Now, just real quick here, let’s touch on this “predestined” thing. Who did God foreknow? All. God knows all things; He is not bound by time as we are, but sees the beginning from the end; and He foreknew each person who would ever be born. Who did He predestine? All are predestined by His desire and design to be His. And all actually are His if we get right down to it, because each person’s eternal destination is set by His judgment which is already passed through His Word. Those who walk with Him, having received His gift of freedom from the bonds of sin and death have eternity with Him; those who do not…. It is already judged and sentence set. It is our choice which way we go. Jesus is the way to God, making us priests to God with Him; He is the truth of God, His Word Incarnate, explaining the Father and His ways perfectly and removing all hypocrisy; and He is the LIFE. When death came, separating mankind from God, the breath of Life in God left. Jesus restores that breath as seen in John 20:22. So whom did He call? He calls to all, for it is His desire that NONE perish, but ALL come to repentance, and Jesus was sacrificed by God so that ALL may be saved. But not all hear so as to accept the call, and not all choose Him, refusing to believe that Jesus is the Christ, come first to pay the price and defeat sin and death before one day returning as King to rule God’s Kingdom. God’s word says we have the choice with good or evil, life or death, blessing or curse at every crossroad, and God cannot lie. To believe in predestination, which removes all choice, is to deem God a liar and the whole of scripture false. So all are called, but not all respond to the call given through Christ to receive God’s gift of grace in Him. Those who do answer the call are justified through Christ, instantly perfected in the eternal realm, proclaimed set free of sin and death in Christ, and destined for eternity with God, living forever with Him in His Kingdom. These also are continually being perfected from one degree of glory to the next through the finished work of Christ’s redeeming blood as God carves us into His image, purifying us in the flesh and making us whole. We are being built together by God to be a memorial of His story and to bear witness, bringing all to remembrance of God and His ways. We are to so know Him that though evil enemies burn all our Bibles, the story of God and His will for and ways toward mankind will continue in us. “To love Him with all the heart and with all the understanding and with all the strength, and to love one’s neighbor as himself, is much more than all burnt offerings and sacrifices” (Mark 12:33). Because of Christ being the final and complete sacrificial Lamb of God, paying the full price to purchase back His creation, freeing us from sin and death, there is no longer need of blood sacrifice on an altar of stone. Jesus purchased rights to our lives, thus our lives, our bodies become the altar on and in which all sacrifice is achieved. As priests unto God with Christ, we bring the sacrifice of repentance, praise and adoration. As workers with Him, we give the sacrifice of consecration and sanctification in our bodies, committing our all to Him. Our lives—our bodies are a place of sacrifice to God, as we daily take up our cross of self-denial to follow Jesus. “This precious value, then, is for you who believe; but for those who disbelieve, ‘The stone which the builders rejected, this became the very corner stone,’ and, ‘a stone of stumbling and a rock of offense’; for they stumble because they are disobedient to the word, and to this doom they were also appointed. …” (vs. 7-8). Peter was “Petrose”: a piece of The Rock. Jesus is “Petra”: THE ROCK. Together, through unity in Christ with Peter, we become a piece of the rock of Christ—a truth we will go deeper into in my next series already in the works. When people turn against us because of our belief in Christ, they truly turn against Christ, thus stumbling over the Stumbling Stone. When people are offended by our righteous stance in Him, they run into the Stone of Offence in Christ. So rest, precious ones, when people come against you because of your faith and faithfulness to God; it is not you they oppose but all He is and stands for, His living in you that they deny. We are living stones in Christ, set in places where we are to proclaim and announce Him through our lives. We are living stones, birthed through relationship with Christ as children of Abraham, adopted into the family of God. We are living stones, making His commandments known in the earth. We are living stones in the Master Carver’s hands, being renewed and restored to His image as originally intended. We are living stones of memorial and remembrance, telling His story to all who will hear and bearing testimony of His presence in our lives, calling all to remembrance of His truths and His covenant promise. We are living stones, given to the purpose of committing our lives as sacrifice, consecrated in service to and with Him through Christ. And as we live in agreement with Christ, we are living stones with Him, bringing stumbling and offence to a world that is contrary to God. Okay, people. God apparently had more to say than I did. My plan to finish up today continues into tomorrow as we run to the finish line. “The mouth of the righteous utters wisdom, and his tongue speaks justice. The law of his God is in his heart; his steps do not slip.The wicked spies upon the righteous and seeks to kill him. The Lord will not leave him in his hand or let him be condemned when he is judged. Wait for the Lord and keep His way, and He will exalt you to inherit the land; when the wicked are cut off, you will see it. I have seen a wicked, violent man spreading himself like a luxuriant tree in its native soil. Then he passed away, and lo, he was no more; I sought for him, but he could not be found. Mark the blameless man, and behold the upright; for the man of peace will have a posterity. But transgressors will be altogether destroyed; the posterity of the wicked will be cut off. But the salvation of the righteous is from the Lord; He is their strength in time of trouble. The Lord helps them and delivers them; He delivers them from the wicked and saves them, because they take refuge in Him” (vs. 30-40). The righteous who continually seek the Lord and grow in Him are often called by Him to speak or write His word in ways that add understanding to the heart of the reader. Those righteous speak a wisdom that points to justice, instructing us in the way we should go. All of the righteous lot are called of God to “go to a friend” and talk with them about the path they are on. We are all to bear witness of our faith and the work of God in our lives whenever opportunity presents itself. These will couple their words of truth, justice, and wisdom with love, knowing that without a heart of love, the words come across as a clanging cymbal to the ears of the listener. Whichever way we are called of God to use our wisdom, whether friend to friend or publically, we must remember to couple our witness with love. 1) He reveals the sin we are practicing, He instructs us in the righteous path needed to correct our lives, and He warns us of the judgment of God against such sin should we choose to continue in our own ways, refusing the work of our transformation in the power of His Spirit. This is the work of discipline accomplished by the Spirit in the life of a wayward child of God. 2) He grants us wisdom to discern right from wrong and understand the potential consequences for our choices so we can make right decisions that keep us on the righteous path. In other words, He helps us to weigh the pros and cons of a crossroad point of choice, equips us to discern the potential outcome, and gives us wisdom to make the right decision. When people keep coming into our lives, telling us the same thing about what we should be doing and why; we would be wise to realize that the Spirit of God may be using those who love us to convict of sin, instruct in righteousness, and warn of consequences. Remember, the Father disciplines those who are sons and daughters through Christ. It is not a disgrace to enter in to a season of discipline that removes sin from us. It is an honor that proves we are His child. Here James contrasts for us the false wisdom that comes from the fleshly, the worldly, and the demonic; putting it up against the backdrop of true wisdom that comes from God’s Spirit at work in us. First pure – true wisdom will be based in good, godly motives and desires that protect and produce purity. Peaceable – true wisdom handles things in peaceful ways that most often bring peaceable results not lending to an atmosphere of chaos. Gentle – true wisdom has strength of resolve that comes across with gentleness. Reasonable – true wisdom knows how to reason things out so as to lead to truth and unity. Full of mercy – true wisdom recognizes the limitations of the immature and of those without the Helper, so as to grant mercy and deal properly with those of opposition to sound judgment. Good fruits – most of what we have covered as traits proving wisdom are on the list of the Fruit of the Spirit, thus we conclude that true wisdom produces the Fruit of the Spirit in us. But we also see that following true wisdom brings about good results. True wisdom is also unwavering: one who has true wisdom receives with it a heart of assurance and conviction that helps them stand, firm and resolute in the course laid out. It is without hypocrisy: because true wisdom produces the fruit of God’s character in us and leads to the paths of His choosing and the heart of His purposes, it will always line up with a flow that comes from who we are in Him, and it will stand in agreement with what we profess to believe. We will not say one thing while doing another when dictated by wisdom. I think “seed” should be in caps here, as scripture teaches that the “seed whose fruit is righteousness” is Jesus, the Messiah King, Lord of lords, and Saving Grace. This Seed of righteousness in us is sown in peace and produces peace, the first in the list of flavors found in the Fruit of the Spirit. One Fruit—many flavors, all restoring the image of God in us. Thus wisdom flows from the peace of God to bring peace to us that allows us to walk in wisdom with purity, being peaceable, gentle, reasonable, full of mercy and good fruits, unwavering, without hypocrisy. We cannot have true wisdom without first surrendering to receive the Seed of Righteousness, Jesus Christ the Savior. Why? Because His ways are higher that our ways; His thoughts are higher that our thoughts. We can reason in the flesh and come up with wisdom that sounds good to us and is agreeable with the wisdom of others, but we cannot discern right and true motives, or discover the higher road of His purposes without His righteous wisdom. 7) The Righteous Holds God’s Law in his heart to direct the sure step. Oh, my. Don’t ‘cha know that to those of us who possess the Seed of Righteousness—being filled with His Spirit, seeking His wisdom—His Word is precious to our hearts? We long for the Word as our bread of life and living water. We don’t just grab it, finding what looks good to us and making it our own, for use often to promote and give excuse for ungodly ways. It grabs us. And by the power of the Spirit of God at work in us, His Word is used of Him to make us His very own possession. The passages that affect me most and have done the most to change my life forever reached up off that page and grabbed my heart of flesh, circumcising it and kneading it into His own heart, filling me with desire for their proof to be in me, and making me one with Him in belief, desire, and purpose of action. Many of them continue to grab me and revitalize my commitment. When I read “For my DETERMINED purpose is that I may KNOW HIM…”, my heart soars anew with increased resolve to grow ever stronger in this relationship (Philippians 3:10-11, AMP). When I recall “Set your mind and keep it set! …” I get excited and check my course to be sure my focus lines up with His (Colossians 3:1-2). My heart often cries out with Moses, “Show me Your glory” (Exodus 33). My life has changed forever, watching for Him with “earnest expectation and hope” (Philippians 1:19-20). My boast is forever in Him, looking to Him for my approval as I remember that “Such confidence we have through Christ toward God. Not that we are adequate in ourselves to consider anything as coming from ourselves, but our adequacy is from God, who also made us adequate as servants of a new covenant, not of the letter but of the Spirit; for the letter kills, but the Spirit gives life”, for I realize that I “can do nothing apart from Christ,” but “I can do all things through Christ who is my strength” (2 Corinthians 3:4-6, John 15:4-5; Philippians 4:10-13). “Therefore let us be diligent to enter that rest, so that no one will fall, through following the same example of disobedience. For the word of God is living and active and sharper than any two-edged sword, and piercing as far as the division of soul and spirit, of both joints and marrow, and able to judge the thoughts and intentions of the heart. And there is no creature hidden from His sight, but all things are open and laid bare to the eyes of Him with whom we have to do. Therefore, since we have a great high priest who has passed through the heavens, Jesus the Son of God, let us hold fast our confession. For we do not have a high priest who cannot sympathize with our weaknesses, but One who has been tempted in all things as we are, yet without sin. “Therefore let us draw near with confidence to the throne of grace, so that we may receive mercy and find grace to help in time of need” (Hebrews 3:11-16). Through Jesus, we enter the presence of God through the Grace He supplies, and hiding His word in our hearts, we find our protection from sin, being transformed into His image anew. 8) The righteous rests in the shelter of God’s protection, trusting His judgment and advocacy when assaulted by accusation. There is no condemnation in Christ Jesus. When we hide His word in our hearts, letting Him tell us who we are, heeding His instruction for life choices, receiving the assurance of His promises by faith, we are protected from the false prophet and from the lies of the enemy who would beat us down and hinder our progress of faith. By hiding His WORD in our heart, we know that through Christ we are saved by grace through faith, being adopted into the household of God, having right of inheritance with The Son as the adopted through Christ: and knowing this we know that when we commit sin, the Father of lights then disciplines us as children (Ephesians 1-2; Hebrews 12). As children of God who seek the Father’s pleasure, we come in under His protection where no evil can eternally harm us. And when accused, He who does not condemn us helps us to know truthfully whether we are guilty of sin—equipping us to correct that area of life; and if we are not guilty, He assures our heart and has given us an advocate in Christ who “ever lives to intercede on our behalf” (Romans 8:31-34; Hebrews 7:25). 9) The righteous waits for the Lord while keeping His way. God, through grace found in Christ, is our hiding place and our secure tower. Through Him we can have peace and walk in peace knowing that no matter what goes on in the earth, we, His children, have a posterity protected by God, an inheritance held secure in the heavens with Him. Through His provision we have strength to face each day. Because He loves us, we do not fear facing any struggle or challenge, trusting that by the power of His Spirit, we are helped by God to face each day with His comfort in us. And because of the Christ who paid the price as propitiation (full and complete payment) for sin, bringing those who truly believe from their heart into the kingdom of God, we know we have deliverance from death through God. There is no sin that can keep us, no trouble that can stop God’s will for us, no sword that can come against us to keep us from our appointed course, when we live the righteous life of faith in God: rested in Him, trusting Him, serving Him with a willing spirit of obedience and coming quickly to repentance when we fall. “Therefore be imitators of God, as beloved children; and walk in love, just as Christ also loved you and gave Himself up for us, an offering and a sacrifice to God as a fragrant aroma. But immorality or any impurity or greed must not even be named among you, as is proper among saints; and there must be no [filthiness (obscenity, indecency) nor foolish and sinful (silly and corrupt) talk, nor coarse jesting, which are not fitting or becoming;] but rather giving of thanks. For this you know with certainty, that no immoral or impure person or covetous man, who is an idolater, has an inheritance in the kingdom of Christ and God. “Let no one deceive you with empty words, for because of these things the wrath of God comes upon the sons of disobedience. Therefore do not be partakers with them; for you were formerly darkness, but now you are Light in the Lord; walk as children of Light (for the fruit of the Light consists in all goodness and righteousness and truth), trying to learn what is pleasing to the Lord. “Therefore be careful how you walk, not as unwise men but as wise, making the most of your time, because the days are evil. So then do not be foolish, but understand what the will of the Lord is” (Ephesians 5:1-17). so the children of God shine. Have you ever seen a sun dog, or a picture of one? I have seen them but didn’t know what they were called until my husband sent me some excellent pictures of the phenomenon. Here are two he sent that are just spectacular, each speaking volumes to my heart. In the first I see the brilliance of God shining forth in the center of the darkness. His rays radiate out to us on either side through Jesus Christ and the power of the Spirit of God, and through us to the world that cannot see because of the darkness. In the second, the sun cannot be seen well because of the clouds. The spots radiating out on either side of the sun are what is truly visible and bright. In this photo, I see the Son, hidden from the world by clouds of doubt, discouragement, disillusionment, falsehood, and everything else that keeps one from recognizing the truth of God in this life. The only sense that the unbelieving, wayward and discouraged get of Who God is and how He works is through the spotlights shining bright from the reflection of the Son. That would be those of us, His children, who know His presence and trust His hand, even in the times of darkness and storm-tossed, clouded days. 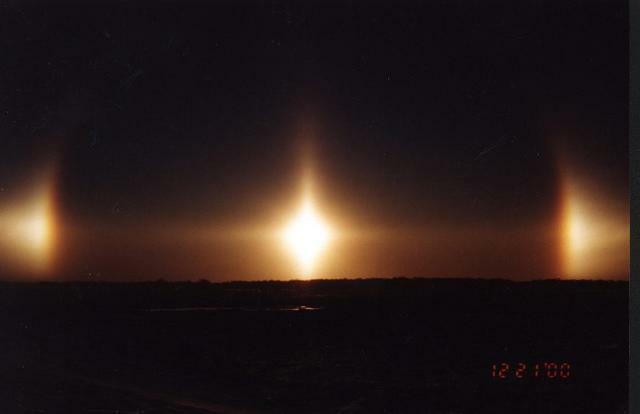 The Greek word for Sun Dog is Perihelia. The truly interesting lesson to be learned is found in the science behind the making of Parhelia. 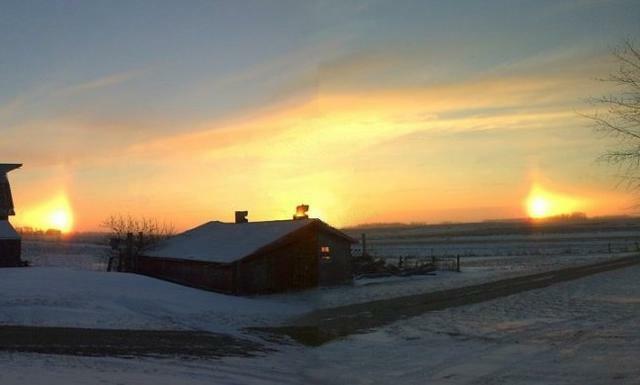 We see the Parhelia phenomenon when there are ice crystals in the air. The sunlight hits the ice crystals, reflecting out from them to form the spots. The brighter spots are formed as the light from the sun reflects off a crystal, which then reflects those rays out to reflect off of the crystals around it, which reflect out to others. It is the reflection of the sun bouncing off the crystals to touch one another that makes the brilliance of the spots. Scripture says of Jesus, “In Him was life, and the life was the Light of men. The Light shines in the darkness, and the darkness did not comprehend it” (John 1:4-5). Jesus says of Himself, “I am the Light of the world; he who follows Me will not walk in the darkness, but will have the Light of life” (John8:12). He says of us, His disciples, “You are the light of the world. …Let your light shine before men in such a way that they may see your good works, and glorify your Father who is in heaven” (Matthew5:14-16). In Ephesians 5 we are told that we, the light of God in the world, are not to be partakers in the things of this world, “for you were formerly darkness, but now you are light in the Lord; walk as children of Light (for the fruit of the Light consists in all goodness and righteousness and truth), trying to learn what is pleasing to God” (verses 7-10). This is our calling and equipping as lights in the world. We are to be Perhelia, following close to the Son, filled with and shining forth His light, so that all may see Him and glorify God. So tell me, how does your lamp light glow? “This is the message we have heard from Him and announce to you, that God is Light, and in Him there is no darkness at all. If we say that we have fellowship with Him and yet walk in the darkness, we lie and do not practice the truth; but if we walk in the Light as He Himself is in the Light, we have fellowship with one another, and the blood of Jesus His Son cleanses us from all sin” (1 John 1:5-7). Walk as children of light.